Comment: it's a tri-level. I think it has wood shingles, but not sure. Want it done as soon as possible. Comment: We had our grill to close to the house. It melted about 3 pieces of the siding. Comment: I would like to get an estimate for siding repair. Some of the siding is loose. It's a two story. Comment: The vinyl siding and trim around the electric meter on the side of my house is coming loose. Comment: Recent heavy wind storms pulled a long single sheet of vinyl siding off the side of the home. I have the complete panel, but not sure if the panel is damaged or still usable, or what my options are for finding a new matching panel. Missing panel is high up towards top of second floor near roofline. Wesley and Sons Construction, Inc.
Oswego Siding Contractors are rated 4.81 out of 5 based on 1,323 reviews of 30 pros. 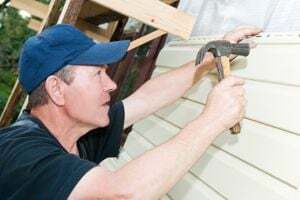 Not Looking for Siding Contractors in Oswego, IL?